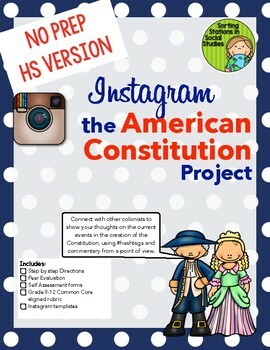 This is designed to be a summative project after the Constitution unit. 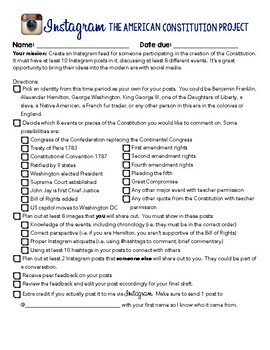 Students select an identity, Instagram at least 8 posts from themselves and 2 posts from a contemporary. This reinforces succinct writing, use of modern technology and its vernacular (i.e. 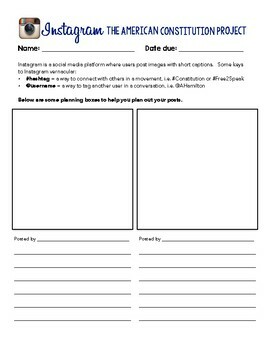 #hashtags), while reinforcing point of view writing. 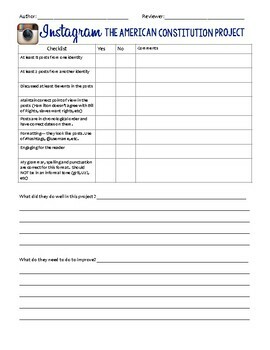 There is a paper based project if internet or social media isn't available.